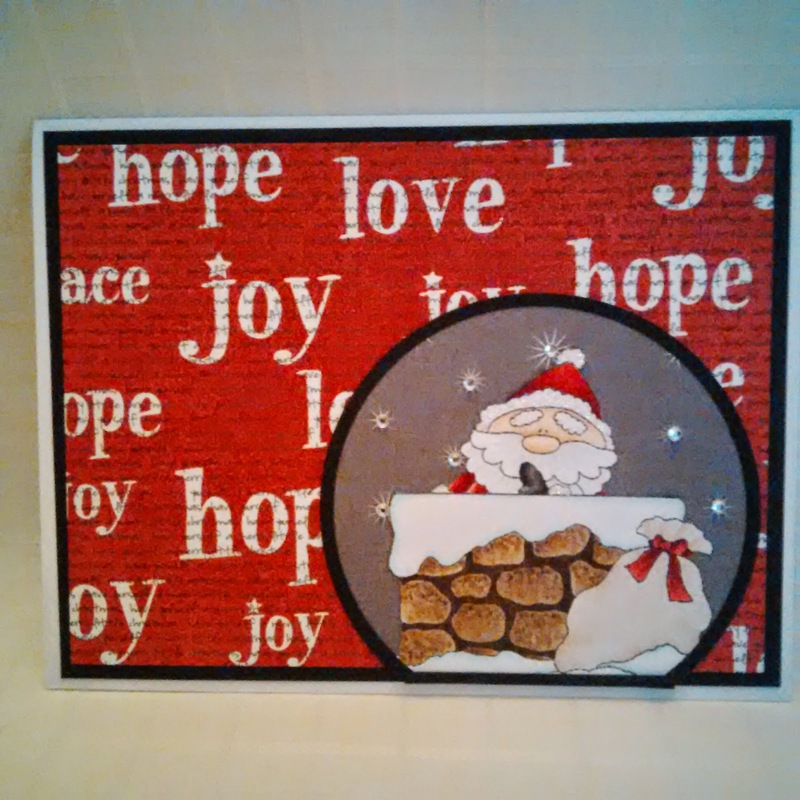 This months winner will be sent two High Hopes Rubber Stamps. Nat, please email lora at onecrazystamper dot com to claim your prize. As Halloween is here on Friday, which means that October will be over and that we are getting closer to Christmas. For this month, the OCS Design Team are showcasing High Hopes Rubber Stamps latest release which is Halloween/Christmas. 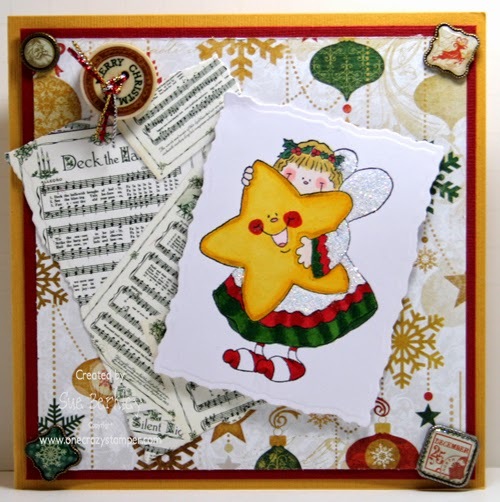 For today's post, I have used the adorable Angel Star. There are still a couple of days to enter this month's challenge. A new challenge will be starting on Saturday, so do go shopping at Lora's OCS store for new products to help your creativity. Until next week, keep crafting and have some fun. Hello crafty peeps! 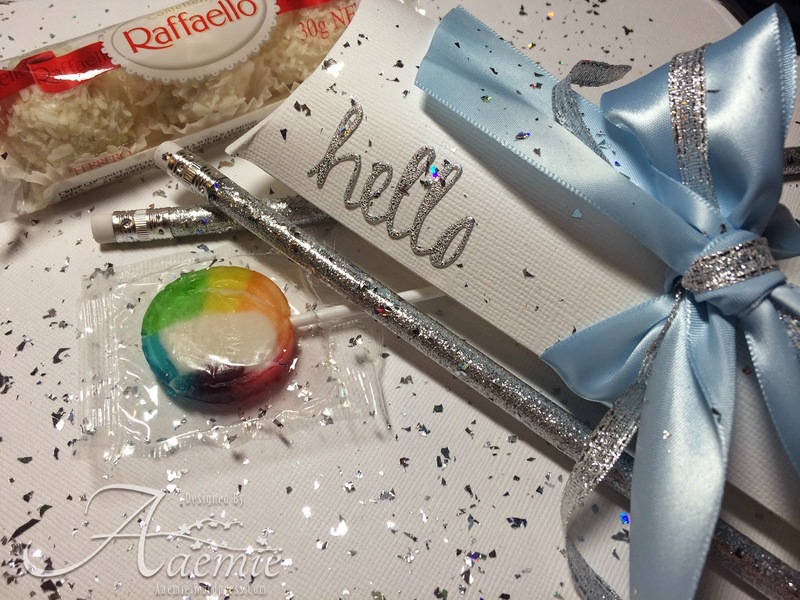 Today I am sharing a tutorial using Shrink Plastic and doing a little product showcase with WR Memory Keepers Pillow Box Punch Board. This is the pillow box that I made with the punch board and embellished with one of my shrink plastic snowflakes. 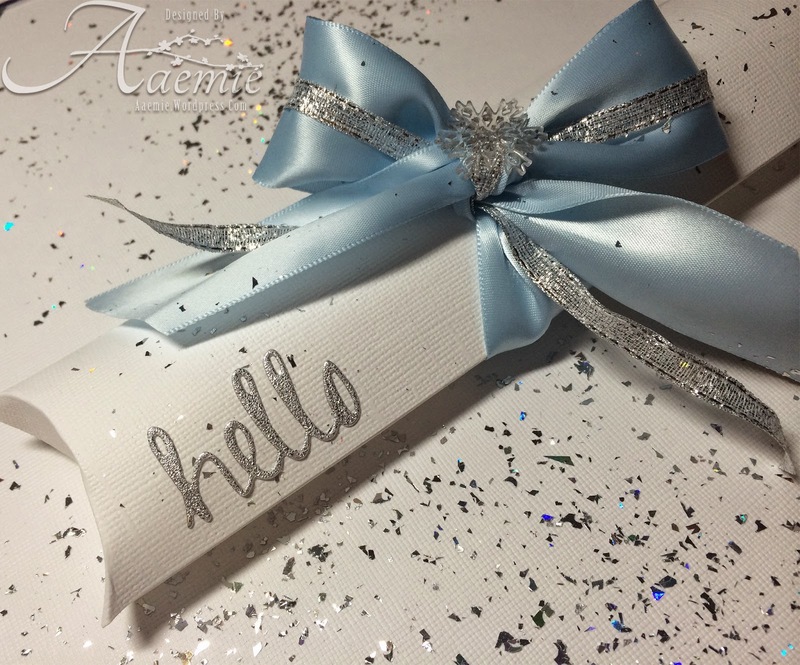 I used these very cool YNS sentiment dies with silver foil that comes with an adhesive back. Now what would a pillow box be without some goodies inside. This box can be customized to whatever length from 4-12 inches, I made this one long enough to fit a pencil. I hope you all enjoyed my tutorial! Hello and welcome back, so happy to share one more fun image from the wonderful High Hopes Rubber Stamps. 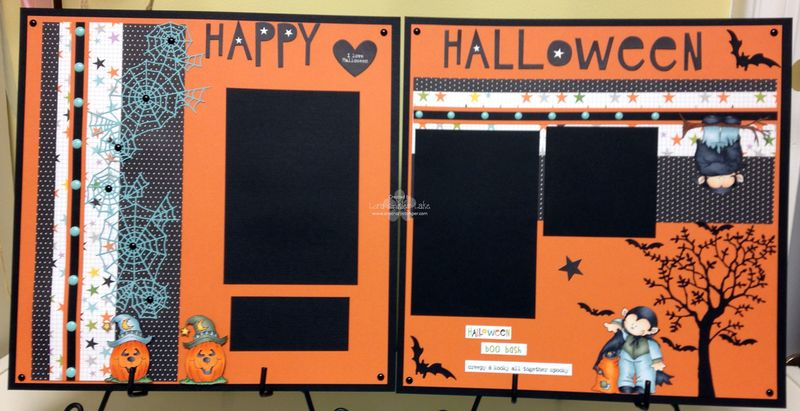 Our challenge this month here at One Crazy Stamper has been Halloween/Christmas. We are showcasing the High Hopes Rubber Stamps. This one I am doing a wee bit different. I like how it turned out. This image is called Frosty Snowman, and I stamped him four times. I used some Mask-It and had some fun. The last image of him I popped up using 3D foam squares. Oh and of course I colored him using copic markers. I sure do hope you get a look at One Crazy Stamper and play in the October challenge Halloween/Christmas, so much fun. Also I hope you do some shopping at Lora's store, she is always adding wonderful product for us. Till next time, Happy Crafting! Cheers! All items listed above can be purchased at the One Crazy Stamper Store! I hope that you enjoyed today's card, see you soon! It is another Wacky Wednesday, and October will soon be over, Halloween is almost here, the cold and flu season has started and Jessie Hurley will be at OCS from tomorrow to Sunday teaching her awesome classes. 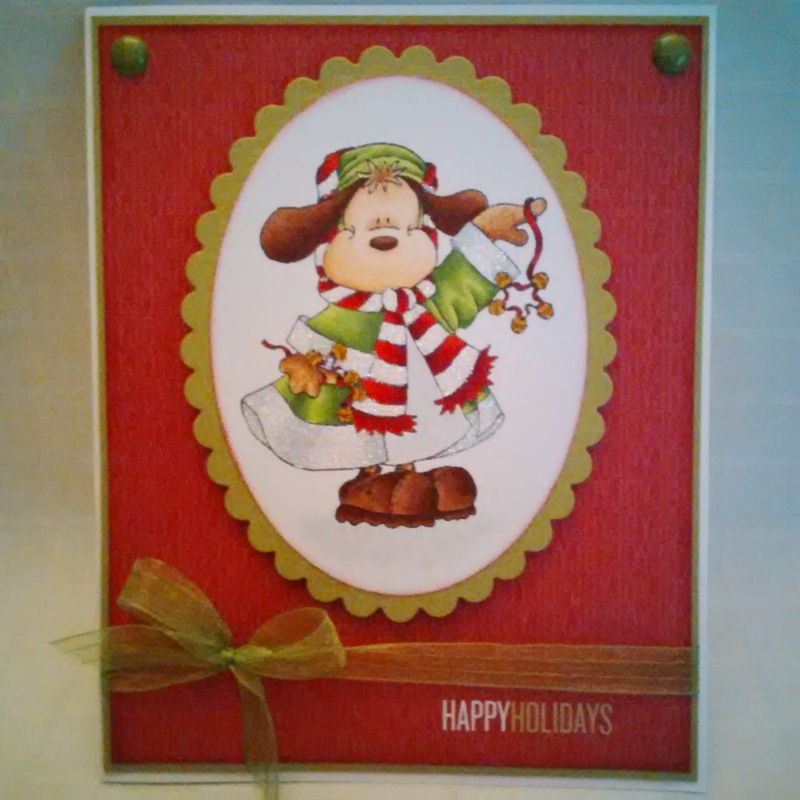 For my post today, I have used the Caroling Snowlady from High Hopes latest release. There is still a little more than a week left to enter this month's Halloween/Christmas challenge at OCS. For any crafting supplies that you might need do check out both Lora's online and brick & mortar OCS store. 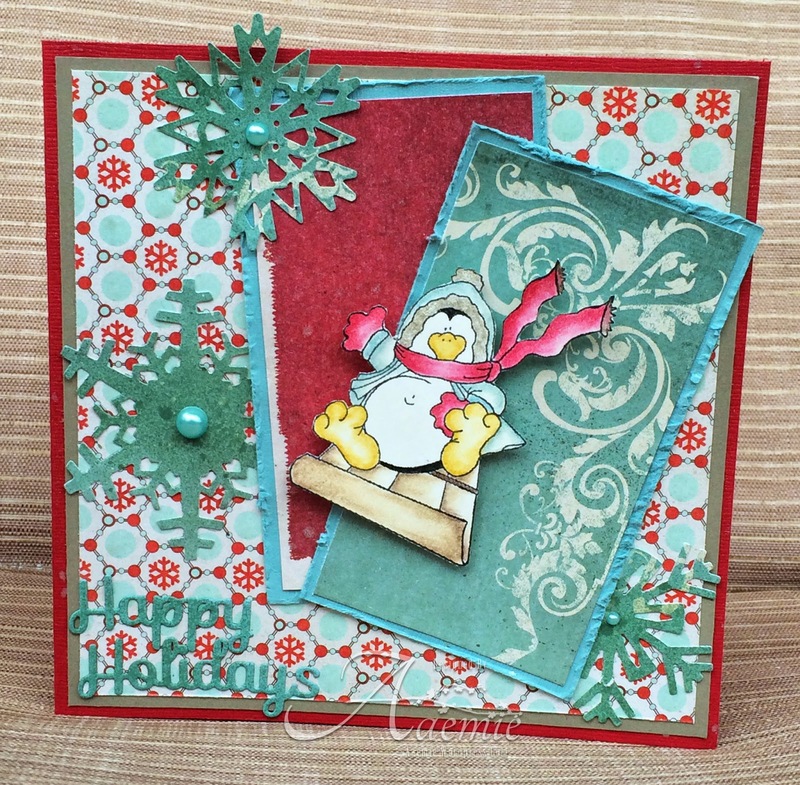 Hello fellow crafty friends, it's another terrific Tuesday and I'm sharing a creation using Downhill Penguin. I coloured this guy in prismacolor pencils, used some pearls and glimmer sprays. Don't forget to join us in our monthly challenge and for a chance to win some fab prizes. 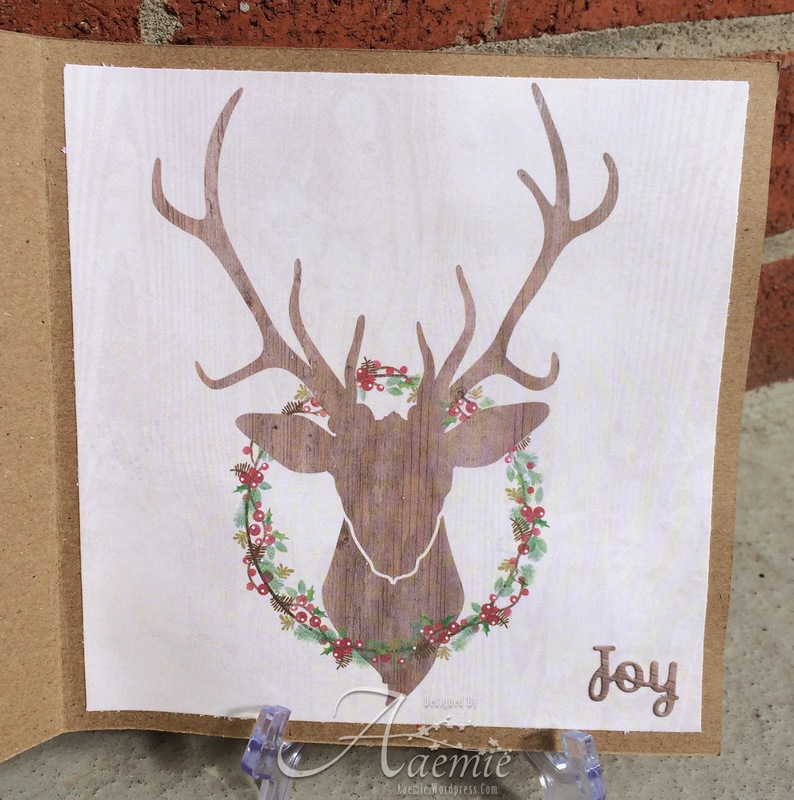 Thanks friends for stopping by to see what I am creating for our month long challenge here at One Crazy Stamper. We are show casing the wonderful High Hopes Rubber Stamps. The image I colored up using my copic markers is called Jingle Kitty. Sure has been fun coloring each image, please share the love with the design team, and if you get a chance to pop over to Lora's store, she is adding product all the time, awesome deals too. My card I used some older pattern paper and some 3D foam squares to pop up my image, and the banner die at the too. I also colored my Jingle Kitty using Copic Markers. 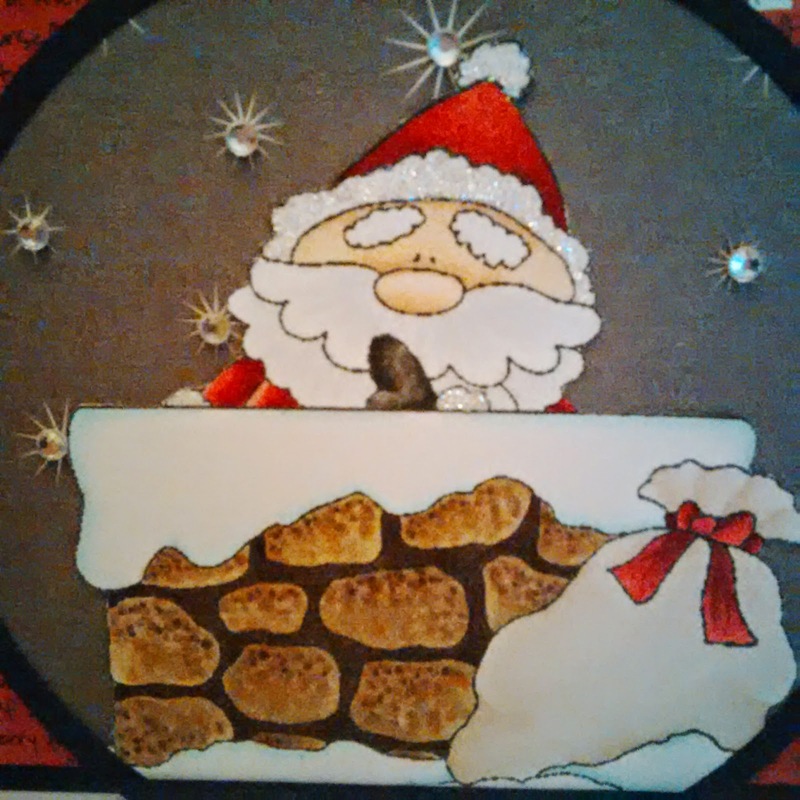 Adding a Christmas sentiment in the bottom corner. Supplies: Stamp-HH Jingle Kitty, Copic Markers-C1, C3, C5, C7, G07, G17, G14, YG03, E04, Y28, YR34, R59, R29, R27, YR23, W3. 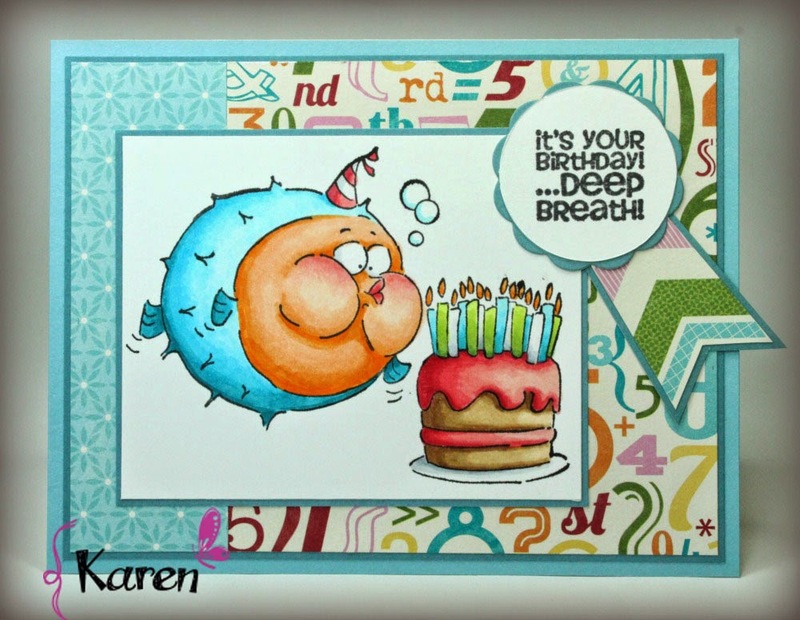 Copic Xpress-it Cardstock, 3D Foam Squares, Banner die. Have a wonderful weekend & thanks for stopping by! 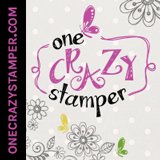 All supplies listed above can be purchased at the One Crazy Stamper Store! I hope that you enjoyed today's card, I just love how her jacket turned out, looks like velvet! I am excited to announce the return of Shari M. to the OCS Design Team. Shari will rejoin the Team as a regular starting in November & I hope you look forward to her wonderful creations just as much as I do. As a little start to her return Shari has created these 4 wonderful cards using Frosty Snowman a new release from High Hopes Rubber Stamps. Thank you Shari for giving us another sneak peak of your amazing work! As the last long weekend of the year is over, this means that Christmas is approaching and will be here before we know it. OCS is showcasing High Hopes September Halloween/Christmas Release. 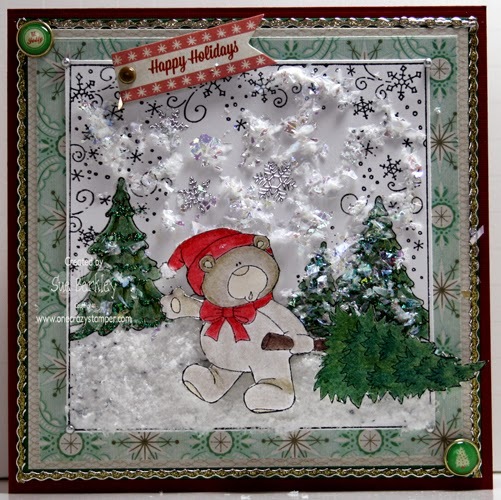 For today's post I have used the adorable Christmas Bear stamp and the background stamp (Winter Wonderland) is an older High Hopes stamp. There is still plenty of time to enter this month's Halloween/Christmas challenge for a change to win a prize pack from OCS. In the meantime while you are thinking of your project, anything that you need can be found at Lora's online and Brick and Mortar stores. Hi Friends, Happy Thanksgiving to you all! I had a wonderful time at the cottage, fishing, kayaking and canoeing with my family. I love long weekends :). For my card I used a cute HH stamp that I coloured with copic markers and paired it with MME paper and embellies. Welcome back, and sure glad you came back. 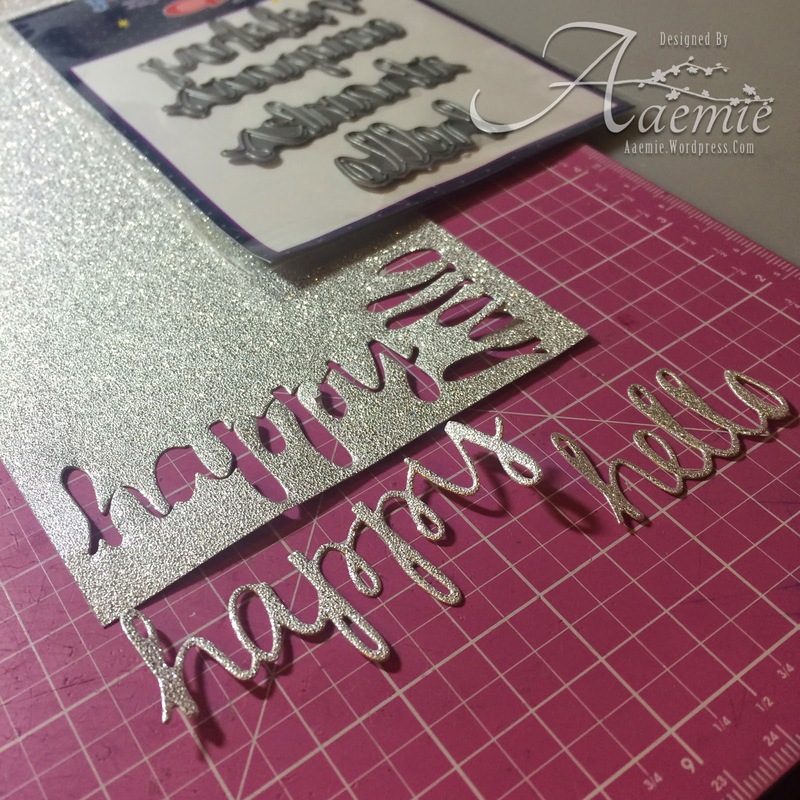 Our challenge here at One Crazy Stamper this month is so much fun. Halloween/Christmas for the month of October. I am showcasing the wonderful High Hopes Rubber Stamps this month. 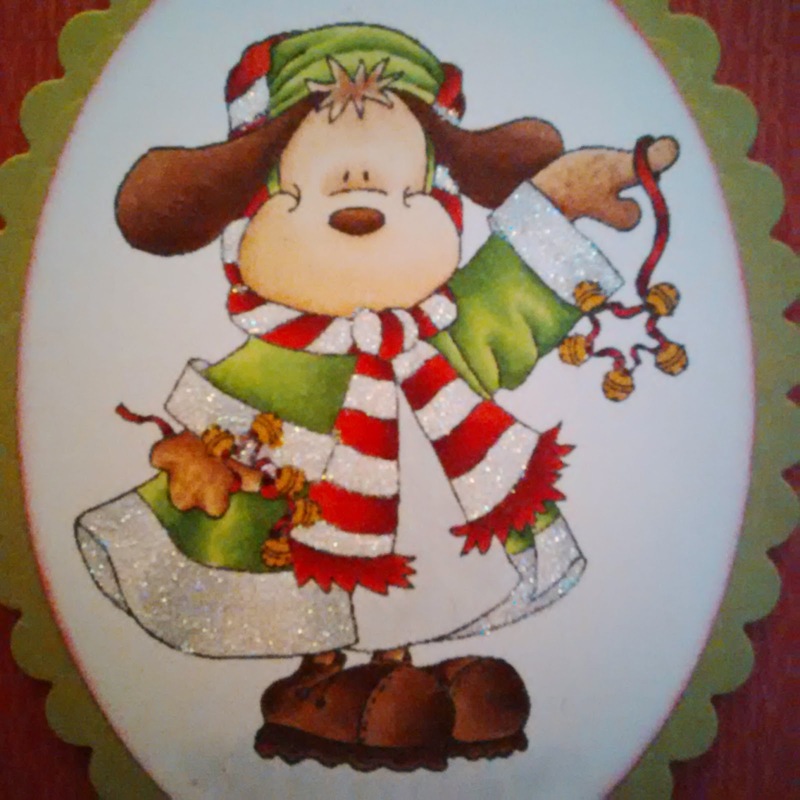 The image on my card is so cute. Snowman Pile, and I am using some older Bo Bunny pattern Paper and of coursed colored my image using Copic Markers. I added some Liquid Applique around the snow peoples hat/clothes. I hope you get a chance to play along with the incredible design team. I also hope you get a chance to pop into Lora's store and do some shopping, she is adding wonderful product ever day. Till next time, happy crafting, have a great day! Hi Everyone, We welcome Shari as a Guest on the DT today sharing a beautiful card she has made using Stamping Bella's image called Uptown Girl Couple Emily & Ryan Under The Umbrella. Thanks for sharing with us Shari!!!! Hello and Happy Friday!! I would like to wish all the Canadian folks a Very Happy Thanksgiving!!! Lora has all kinds of Art Impressions available in the OCS store - you can find them all here! It is another Wacky Wednesday, on the cool side and we might not have any rain today, which would make a nice change. To think that Christmas is less than 3 months away, how the time seems to fly. For the month of October, the talented gals of the OCS Design Team are showing the latest release of the High Hopes Rubber Stamps. 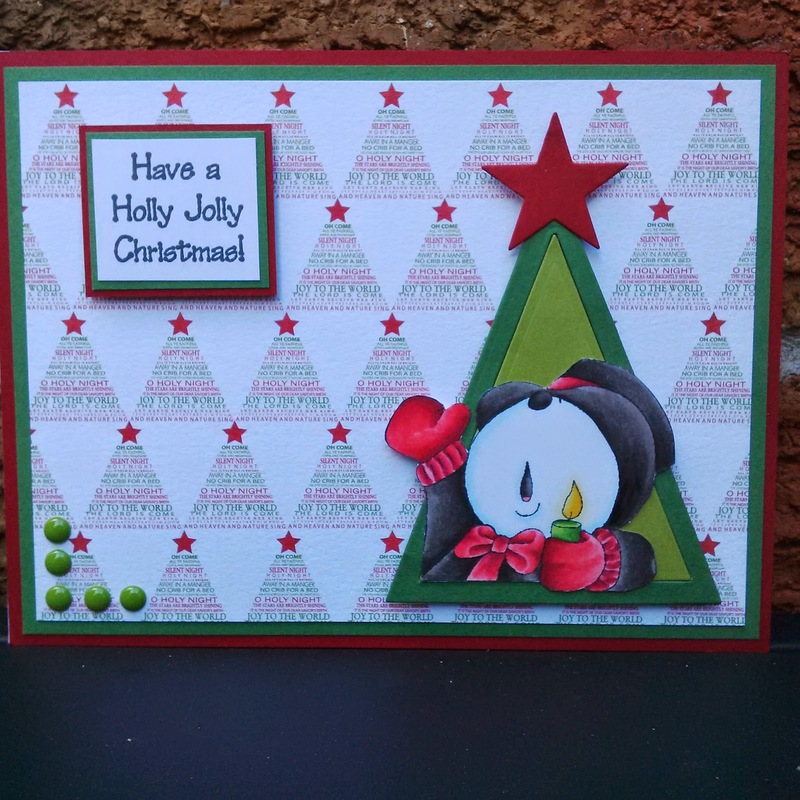 For today's post I have used the adorable Jolly Penguin (High Hopes Rubber Stamps). There is plenty of time to enter this month's Halloween/Christmas Challenge for a chance to win a prize pack from OCS. If you need any supplies to make your project check out Lora's store OCS for some amazing prizes and new products that are arriving. Until next, have some fun while crafting and enjoy the Thanksgiving Holiday this weekend. Hi crafty peeps!! 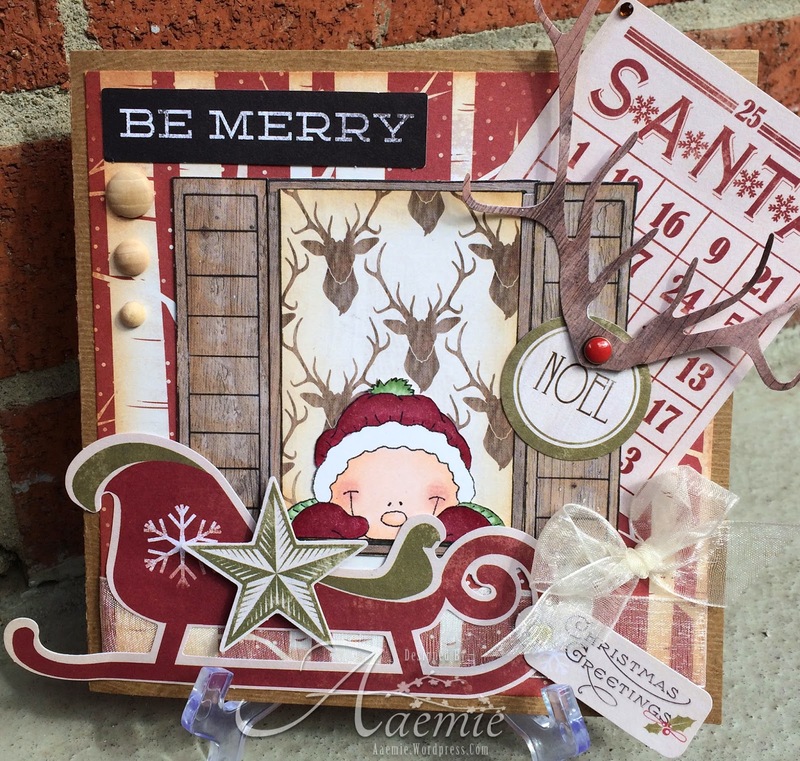 I have yet another fab new stamp to share today from High Hopes new release! 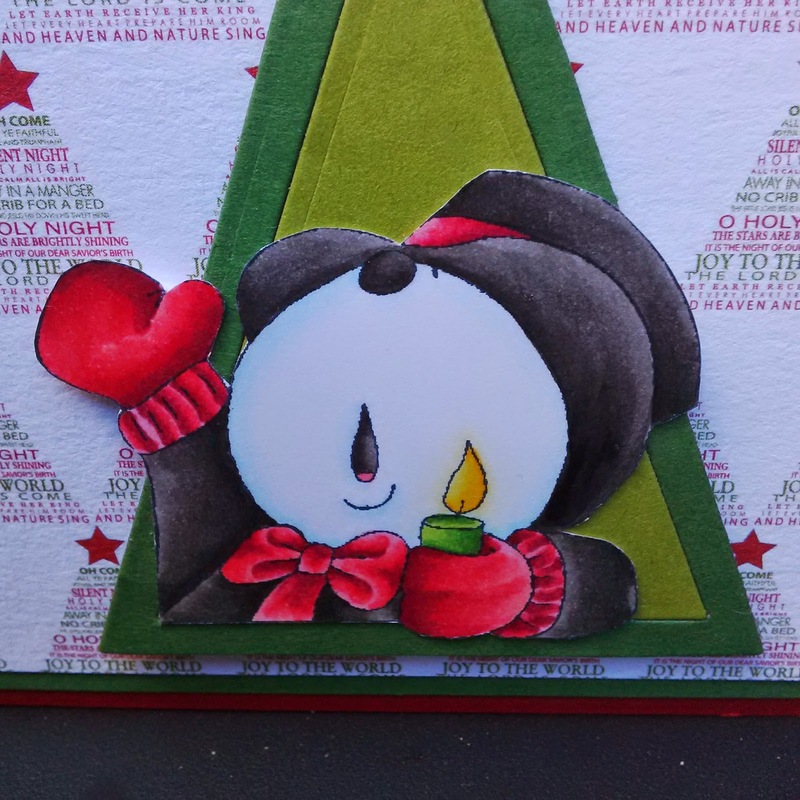 I absolutely LOVE that this Christmas image has hearts on it, because J'adore hearts and any chance to use them on my cards, bookmarks or any project that I'm working on. Isn't he lovely! Please do come join us and enter our challenge this month for a chance to win a fab prize! !